I recently received an email from a lady who I will not mention her name for privacy reasons. In her email, she told me that “She has “big bone” and “fat genes” and she is sure that she’ll never lose weight no matter what she does to try to lose it. Everyone in her family is fat. Her mum, dad, and even her siblings are very fat and that she believe strongly that it runs in the family and is hereditary. To be honest, this lady is not the first person that will send me an email “confidently” asserting that they have fat gene. According to scientist, some people do have larger bones than the other depending on various factors such as genetics and even ethnicity. e.g. Some Chinese and Asians do have smaller/petite bones. However, this in itself does not cause us to be fat. It is “fat” and “lack of muscle mass” that makes people overweight in terms of body size, not the size of their bones. So if you think you are fat because you have “big bones”, then you should think again. We all have fat genes. According to a research conducted by researchers from the UK, Germany and japan and funded by Rosetrees Trust and University College London Hospital charities, we all have fat genes which is referred to as FTO gene. 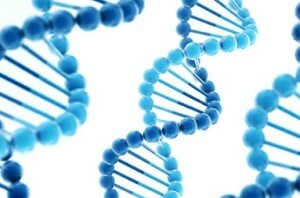 The researchers conclude that this FTO gene can contribute to some extent, the tendency of some people go gain weight. Here’s their conclusion: Someone who has fat genes is going to have a harder time controlling their hunger because their fat genes will resist their body from suppressing hunger. That is why you probably eat/binge on food even when your brain tells you that you are fat and should not be eating them. If you are fat, the most likely cause of it is that you are eating more fatty food than your body burns. It does not matter if you “BELIEVE” that you have fat genes or not. It still boils down to calories eaten versus calorie burned off from your body. The “so called” fat genes only causes you to eat more by suppressing your hunger reduction hormone called Leptin. If you want to lose weight, you can if you substitute the fatty foods with eating healthy and exercise. When you eat healthy meals, your body will process it normally and your digestive system will digest it without storing excess fat. When you exercise, you are basically turning on your body’s metabolism which is the rate at which your body burns excess calories from your body. So a combination of both will help you drop excess weight; fat gene or not! You can get started today by getting yourself on a fat loss program that helps you turn back the clock of fat gene and burn fat off your body by eating healthy Nigerian meals and doing simple workouts that give you a toned amazing body.